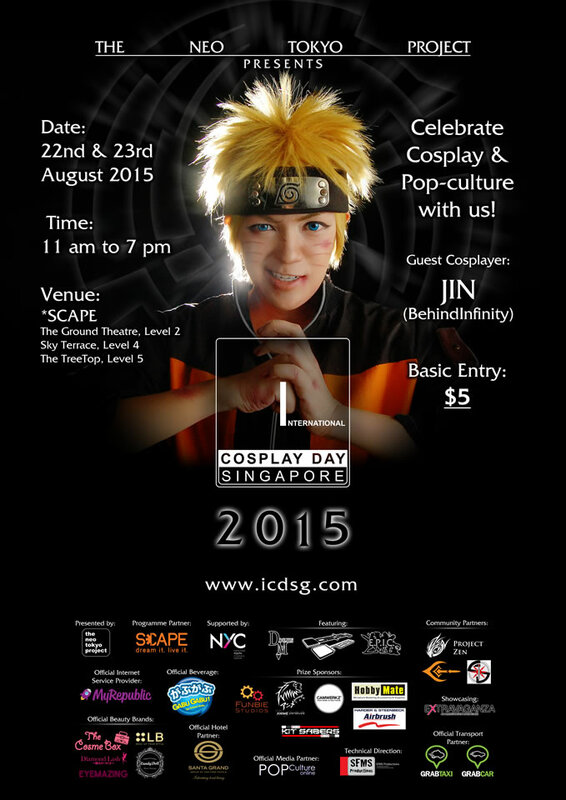 Suspend disbelief, and get set to dive into an epic pop-culture weekend as International Cosplay Day Singapore (ICDS) returns this August! Into its fourth year, ICDS 2015 will once again feature internationally acclaimed guests, a gamut of pop-culture content and Singapore’s Annual Cosplay Chess stage show. Following the success of last year’s ICDS, which saw some 5,000 visitors attending the fan-driven cosplay & pop-culture convention at *SCAPE in Orchard Road, organizer Neo Tokyo Project has decided to up their game. This year, they have transformed the youth recreation and retail hub into a two-day pop-culture playground that promises twice the fun. The convention aims to attract more than 8,000 pop-culture lovers from all walks of life, including anime fans, cosplay enthusiasts, gamers and photographers. Promising more popular content over the 2 days, ICDS 2015 aims to provide event goers with more stage programs, more interaction with guest and also panels where event goers can learn from event guest. The decision to have it over 2 days was to give visitors a choice and better opportunity to plan their visit to ICDS2015 as each day would focus on different aspects. 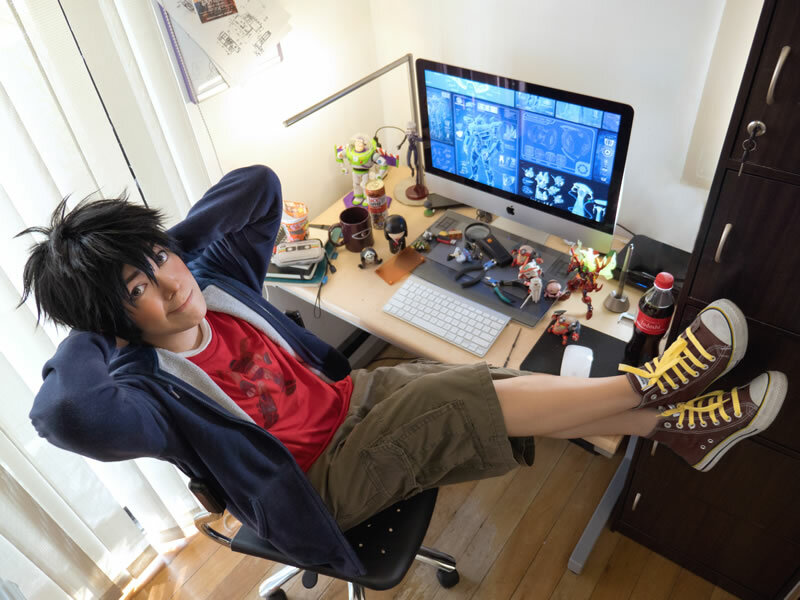 Saturday would focus on both Anime and Japanese popular culture while Sunday will focus on cosplay performances. Account Director of Neo Tokyo Project, Jason Koh, also explained that this was the result of the feedback from visitors and it is always encouraging to see event organisers taking them into consideration when planning. The main action for ICDS 2015 this year will take place once again at *Scape The Ground Theatre. 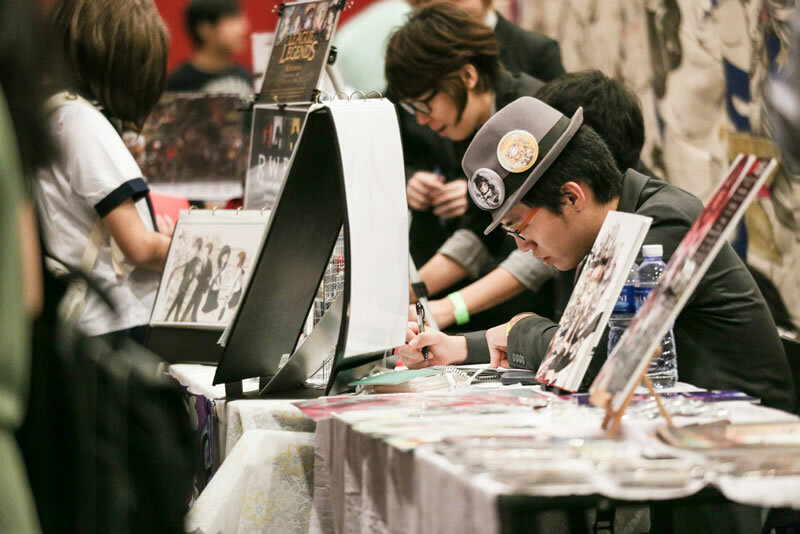 From stage activities including the AniDance 7 music Party, Panels and Anime Quiz to booths by Funbie Studios, Fight Saber Singapore and The Cosme Box, visitors to the event will want to set aside a good amount of time here. Popular Culture fans will also be pleased to know STGCC and GameStart will also be here to sell tickets to their events so do bring along extra cash to get your tickets to these events here. 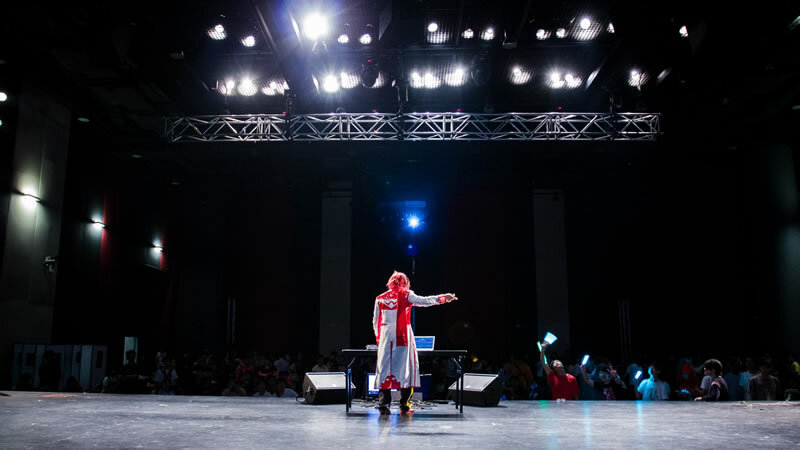 Cosplay fans will also want to set aside time for the stage area as ICDS 2015 will once again see the Cosplay Talent Showcase, Cosplay Runway and the Annual Cosplay Chess. 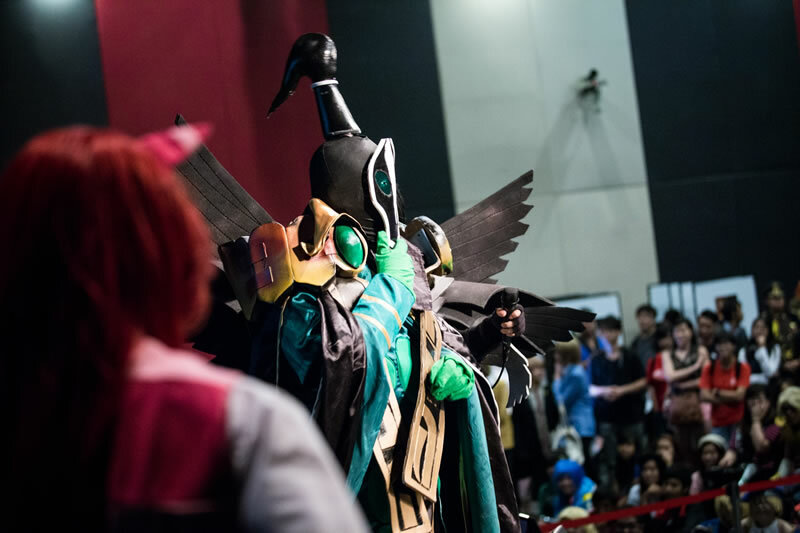 Each will see a variety of cosplayers showcase their hard work and creativity in creating their costumes and with this year’s Cosplay Chess finale determined by an online poll, you can expect one entertaining performance. Doujin fans will also be glad to know that Doujinma returns to ICDS 2015 for all your shopping needs. Held again at the Treetop following the positive feedback at the last round, visitors can shop in a dedicated air-conditioned area with enough space for all budding artist to showcase their work. If there is one thing synonymous with popular culture events, it is the sea of colours from the local cosplay community accompanied with the array of camera gear from cosplay photographers. These two groups will be pleased to know that at ICDS 2015, the organisers have booked major portions of level 4 plus 1 more portion on level 5 just for you. Featuring 3 photography zones and a bigger cosplayer rest area this year, there shouldn’t be a reason to worry about space for props and gear. Oh, and if traveling down with all those gear and prop is an issue on the public transport, do not fret as ICDS 2015 has a special tie up with GrabTaxi and GrabCar. New users will be eligible for the “ICDS2015” promo code on 22-23 August for an $8 ride discount. This promo will only apply to trips from SCAPE or ending at SCAPE only. ICDS 2015 will also see two talented guests make their appearance at the event with knowledge sharing panels and interaction time that event goers will not want to miss. 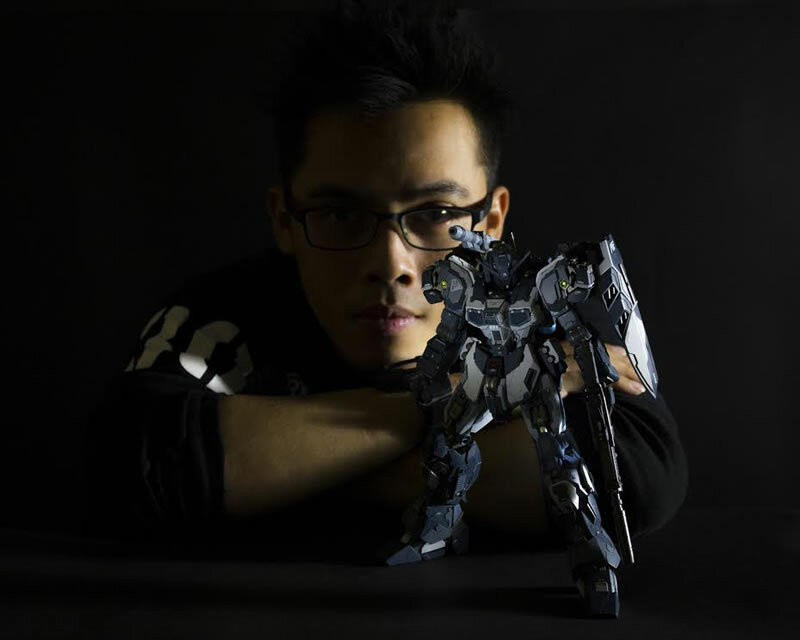 Joining Jin is Indonesian PlaMo (plastic model) expert Ifan Cusianto. An award-winning PlaMo builder and writer of the critically-acclaimed “Scratchbuild Revolution” guidebook, Ifan will be sharing his techniques at the Hobbymate booth during ICDS. Tickets for ICDS are priced at $5 for a Day Pass, and $8 for a two-day Weekend Pass. Tickets are available through Peatix (at http://icds2015.peatix.com). Limited tickets are also available at the door. Neo Tokyo Project is a pop-culture marketing agency in Singapore. Originally conceived as a cosplay oriented blog, Neo Tokyo Project has since grown into a media portal that boasts more than 15,000 unique monthly page views, with readers spanning 21 different countries around the world. In late 2011, Neo Tokyo Project entered the realm of pop-culture events management, organizing Singapore’s 1st Annual Cosplay Chess stage show as well as curating internationally acclaimed cosplay photographer Jay Tablante’s first ever exhibition in Singapore. Presently, Neo Tokyo Project is the organizer of International Cosplay Day Singapore (ICDS), a proprietary, fan-driven convention held annually in August, the bi-annual Doujin Market showcase, and is the agency of choice for companies intending to target the pop-culture market.